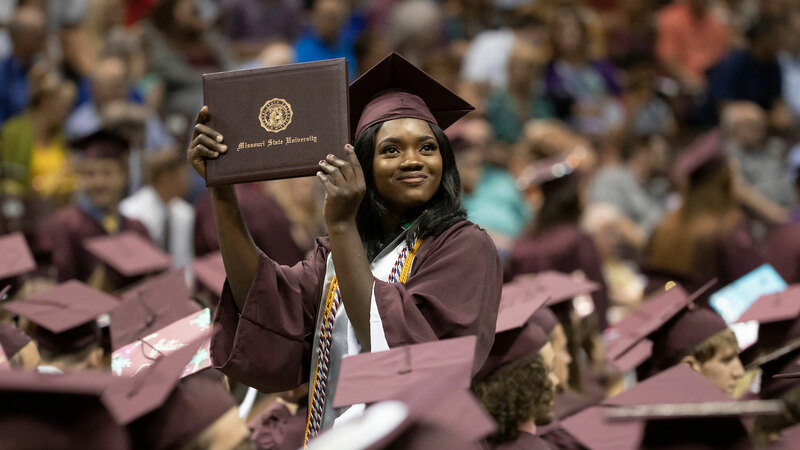 A graduate of spring 2018 holds her diploma up during the commencement ceremony. Take your photo with the PSU Bear during fall commencement on December 14 and get involved with the alumni association. Congratulations! 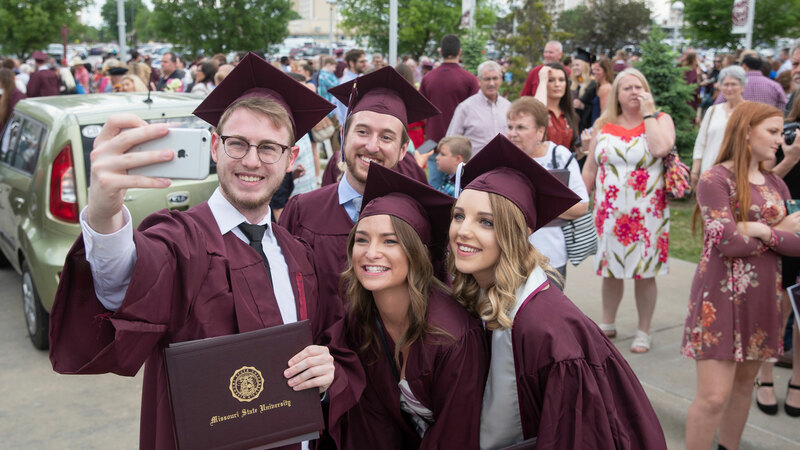 You did it, #BearGrads. You’ve completed your coursework, probably had too much coffee, and had ramen noodles and chicken nuggets for the last four-plus years. The time has come to walk across the stage and share your accomplishments. You’re joining a network of more than 120,000 Bears who have walked this path before you. 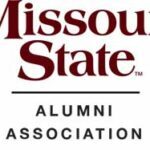 Missouri State alumni do bigger and better things after graduation, and you’re no different. Enjoy your last hurrah and know that Missouri State will always be your home. Before you go, share your plans with us. We’re here to help you achieve all your dreams after graduation. Stop by the PSU on the day of commencement to receive your free photos with the PSU bear. Remember taking a picture of the PSU Bear when you first visited campus? Be sure to mark the graduation milestone with one more photo at this famous MSU landmark. Visit the Bear statue outside of Plaster Student Union to get your photo taken and receive a free commemorative print from the Alumni Association. Photos are available from 8:30 a.m.-4 p.m. Friday, Dec. 14. Celebrate your big day with all your friends and family in the fall 2018 commencement Facebook event. You can access links to the commencement website and the Alumni Association Facebook page. Graduates gather together for a group selfie after graduation. Celebrate your accomplishment. Now is the time to brag about yourself and the great things you’ve done at MSU. Use the hashtag #BearGrads to share your photos with the MSU community and explore other people’s posts. Register with our online community to receive email updates and attend dozens of networking events across the U.S.
Get updates on fellow alumni including the Bears of Distinction awards banquet in June, plus nominate someone you know. You can also sign-up to join the alumni association council or apply for a position on the board of directors. Follow us on Facebook and Twitter for updates from MSU. Be sure to connect with fellow alumni in our LinkedIn group. Finally, we offer travel abroad trips with fellow Bears and volunteer opportunities such as hosting a Dinner with Eight Bears. 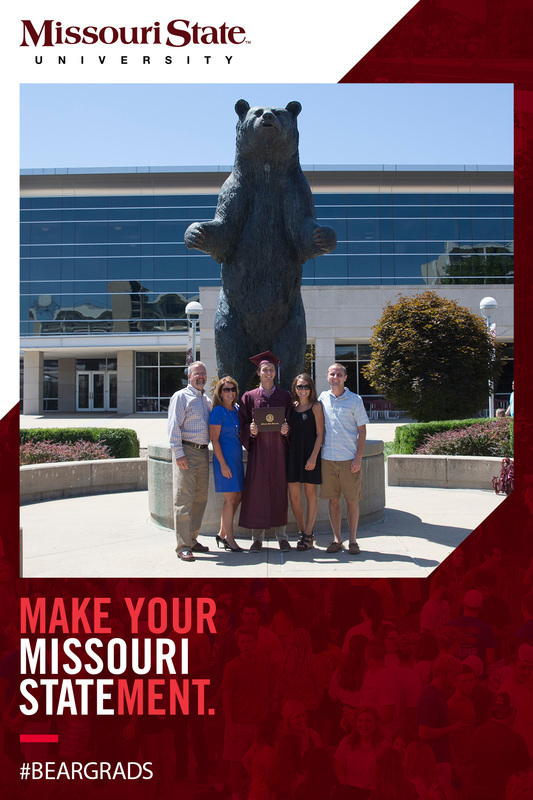 Make a qualifying annual gift of $50 or more to the Missouri State University Foundation and you’ll become a VIB. You can make your gift online, in person at the Meyer Alumni Center, or by calling 417-836-4143. You’ll gain access to benifits like discounts at the MSU Bookstore, MarooNation networking events and keep your access to Duane G. Meyer Library resoucres. Remember, you have search options right here at the university. The Career Center is a good place to start building your resume, practice interviewing and applying for jobs. Begin your job search by registering for Job Tracks, where you can apply for jobs online. A group of graduates from the MSU Graduate College set together during the ceremony. This can be a great way to learn additional skills and gain experience in competitive markets. 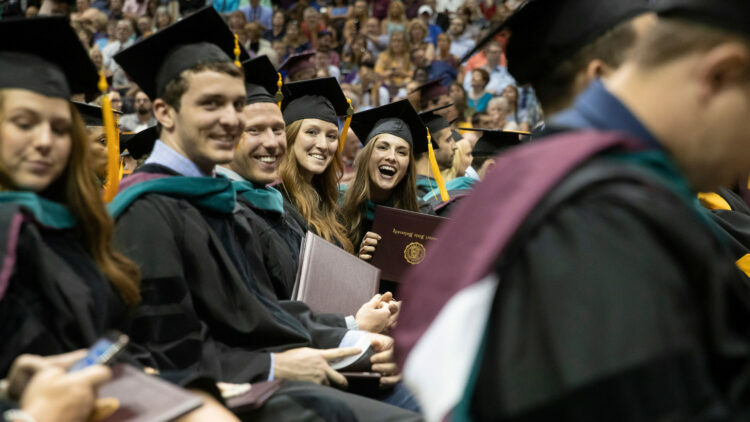 Missouri State also has financing options such as graduate assistantships, which include paid tuition and a monthly stipend. Explore your future with the Graduate College. Enjoy graduation and welcome to the alumni family.